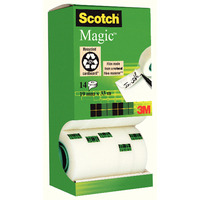 Scotch Clear Recycled Packaging Tape 50mmx66m (Pack of 6) GC5066F6-TSP-EU Pack of 6 Polypropylene packaging tape made from more than 90% recycled plastic. Secure bond suitable for all types of cardboard. Low noise unwinding. Solvent-free. Size: 50mm x 66m. 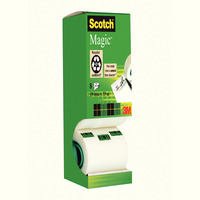 Scotch Clear Extra Resistant Packaging Tape 50mmx20m With Easy Start Dispenser E.5020D Pack of 1 Extra Quality Scotch Clear Packing Tape with a Handy Dispenser allows easy and accurate box and packet sealing. 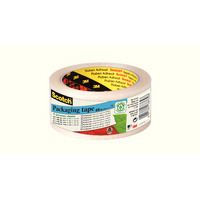 Supplied with a roll of 50mm x 20m tape pre-loaded and ready to go. 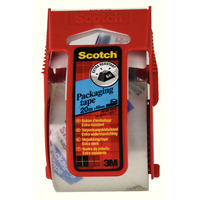 Scotch Clear Reinforced Packaging Tape 50mmx9m With Easy Start Dispenser X.5009D Pack of 1 Extreme Quality Scotch Packaging Tape with a Handy Dispenser which is small enough to fit in a drawer, ideal for general office use. Supplied with a roll of 50mm x 9m tape pre-loaded and ready to go.